There are quite a lot of different blackjack games that you are going to be able to access and play online on which, when you play them, a range of special bonus payouts could be awarded to you. But it does have to be noted many of those games will force you to place an additional side bet to gain access to those bonus winning payouts. However, the Super Fun 21 Blackjack game is a hole card game which does not require any bonus side bet wager to be placed by players but when playing it a large number of bonus payouts will be awarded to you. This is a game on which the dealer will always hit his hand if it turns out to be valued as a soft 17 or lower and then he will stand all other 17 valued hands. This game also is played with only one single deck of playing cards in the shoe but be aware that those cards are always fully shuffled before being dealt out to players. Be aware that you are going to get paid out a range of additional bonus payouts when playing this blackjack game online based on your initial hand of cards, the bonus payouts are not however awarded to players if they have chosen to double down any hand dealt out to them. The stakes at which you can play the Super Fun 21 Blackjack game are quite wide and varied with a minimum stake requirement of just 1.00 being required to start playing this game online and the maximum amount you can wager is a much larger 200.00 per hand. You will find both a single hand and multi hand version of this game online and the winning base hand payouts not including the bonus payouts include a 2 to 1 insurance winning payout if you take the side bet option and the dealers hand turns out to be blackjack hand. Be aware though that a winning players blackjack hand is paid out at even money as are all other winning players’ hand. As such do not think you have been underpaid if you have been dealt out an ace and 10 as your initial hand and that hand turns out to be a winning one as that payout is worth just even money. If you play the Super Fun 21 Blackjack game optimally the lowest house edge that you will be playing against works out at 0.94%, so do keep on reading to learn how to play this game optimally and strategically. One of the most appealing aspects in regards to the rules of this blackjack game is that if you have been dealt out a blackjack hand and the dealer also has been dealt out a blackjack hand then it is the players hand that is deemed to be the winner of that game, but do be aware as mentioned above a winning players blackjack hand is paid out at even money and not at odds of 3 to 2 when you play this game online. A player does have plenty of additional beneficial playing rules and one of them will see a player being able to take later surrender when playing his game no matter how many cards are in that players hand, by taking the surrender option half of your stakes will be returned to you in exchange for you giving up your hand. A player can also double down on any number of hands and as an added bonus when you play this game online for free or for real money and you can opt to take the double down rescue option also. 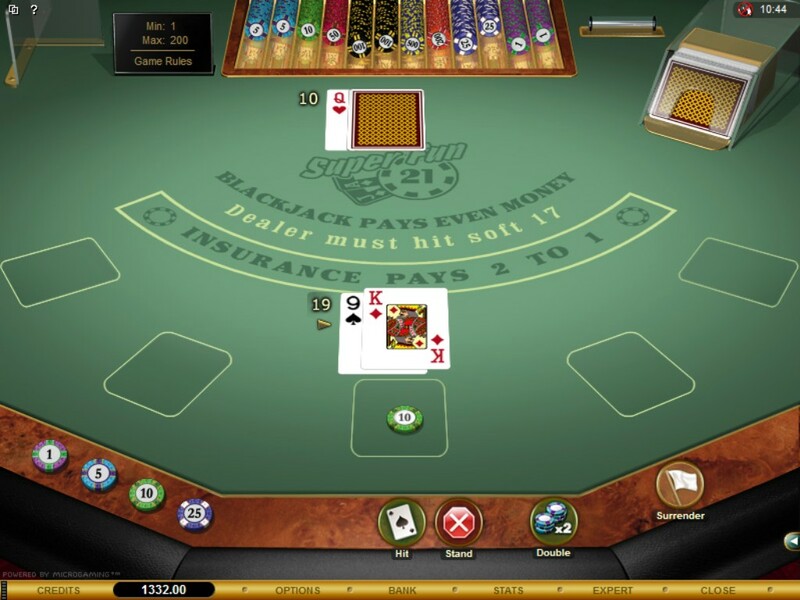 Playing the Super Fun 21 blackjack game is always going to be exciting for you will never know until your cards have been dealt out to you whether you are going to be awarded with one of the bonus winning payouts. However, make sure you never play this game incorrectly and to ensure you never do then make full use of our blackjack strategy card displayed on this web page and refer to it when playing. Below you will find some of the easier to remember strategic betting and playing decisions you should always make when playing this game online to keep the house edge down to a low a figure as is possible. Late Surrender – You are going to be given the option of surrendering your hand when you play this blackjack game variant online but there are only actually five occasions when playing it that you should select to give up your hand and get half of your stakes back and as such refer to our blackjack strategy card for details of those hand combinations that should always be surrendered by players. Doubling Down – If you are dealt out a hard 10 or 11 hand then the best playing strategy for this blackjack game ill call for you to double down those hands, so make sure that is what you always do. Hitting a Hand – If you have been dealt out a two card initial hand that has a combined value of a hard six then make sure you always hit those hands no matter what card the dealer has on show. When to Stand – If you are dealt out a pair of 10 valued cards then you should always stand those hands, you may be tempted to split them but that is the incorrect way to play a pair of 10’s so always stands those hands. Insurance – No matter how tempting the 2 to 1 winning payout may appear on the Insurance wager, you should never choose to make use of that side bet option when the dealer offers it to you. For whilst that winning payout is generous in size what is not generous is the actual house edge attached to that side bet, and as such always and we do mean always, avoid taking the insurance bet option when the dealer offers it to you when playing Super Fun 21 Blackjack. Due to all blackjack games offering a fairly low house edge when those games are played optimally, you are rarely going to find a casino offering a bonus which can be used on games such as the Super Fun 21 Blackjack game, and those sites that do let you use their bonuses on this or any other blackjack game will have huge play through requirements attached to that bonus play. 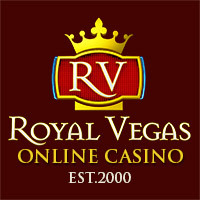 You are never going to have a fair and reasonable chance of winning by making use of any bonus which has a very high set of play though requirements and as such you should only playing blackjack with your own funds to enable you to be able to cash out whenever you like and play for stakes of your own choosing. Many casinos offer a comp club and it is via the comp points you earn when playing real money blackjack that you are going to get much more playing value just make sure any casino site you do play at offers a generous rate of exchange for turning you comp points into playing credits.